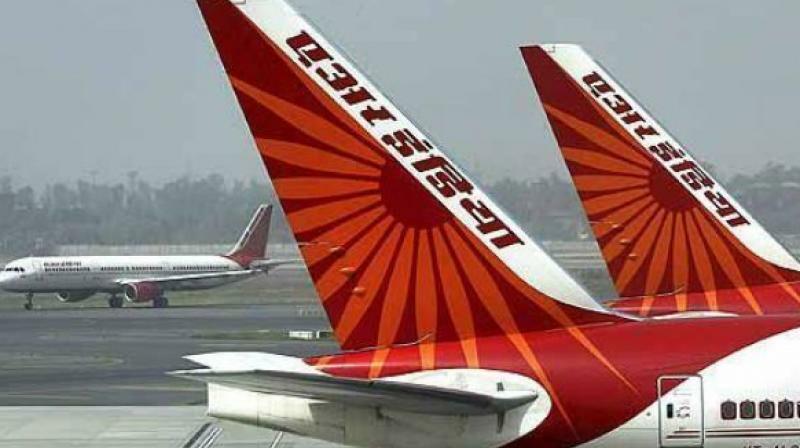 THE Centre may include a clause in the share purchase agreement to ensure Air India employees do not lose jobs immediately after privatisation. sell the core airline company Air India and its low-cost arm Air Express together. “Employees cannot be asked to resign. While the private player will be given full independence in taking strategic decisions, employees will be asked to be retained for one year,” a senior government official was quoted as telling a news agnecy. He added that after one year, Air India’s new owner could decide on a voluntary retirement scheme (VRS). However, the government will ensure that the terms of the VRS will be on a par with the employees’ service condition, the official said. A similar model was used for the privatisation of Delhi and Mumbai airports, where there was a clause under which GMR Infrastructure and GVK group had to absorb employees at the two airports for a period of three years. After that, the private owners had to offer employment to 60 per cent of Airports Authority of India employees working at those airports. In 2009, the government had approved the VRS for those who did not join the private airports. When asked, Civil Aviation Secretary Rajiv Nayan Choubey refused to comment on the modalities. “We will protect the interests of Air India employees in a significant manner,” Choubey said. As per potential bidders, Air India’s labour issues would be cause for concern for potential bidders. Turkish ground handling firm Celebi, which has expressed an interest to buy Air India’s ground-handling unit, said the value of Air India would diminish if the government mandated keeping employees on the payroll. If the government is asking a maximum price for Air India but asks to keep old personnel, it will not match. Not just keeping old personnel, their indemnity is an issue as well,” Cana Celebioglu, board member of Celebi, had said. The government was earlier considering giving the VRS to non-technical staff but has dropped the idea. It is betting on the fact that a significant number of Air India employees are close to the retirement age, which would mean that a large share of employees will retire soon. The average age of staff at Air India is 55 years, against the retirement age of 58. This, the government believes, will help negotiate a generous VRS as part of the sale process. The reason for the higher average age of Air India non-technical employees is due to a hiring freeze since 2012. A panel under Justice D M Dharmadhikari, which examined the human resource aspect of the Air India-Indian Airlines merger in 2012, recommended the VRS for the airline’s staff strength of 28,000. The plan was to offer the VRS to around 7,000 staff to bring parity to a staff-aircraft ratio. As a result, Air India had started a staff rationalisation process by freezing hiring of regular employees and has since hired pilots and the cabin crew on contract. “The company’s average age of staff is 55 years, which means if provided a generous and just VRS package, they will accept it. The technical staff is highly sought after in the market and hence, the market will be ready to absorb them,” the official said. In total, Air India and its five subsidiaries have around 22,000 employees, of whom Air India has around 12,000. It includes 897 pilots and 2,750 cabin crew who are termed technical employees. The rest comprises non-technical staff working in ground handling and management.